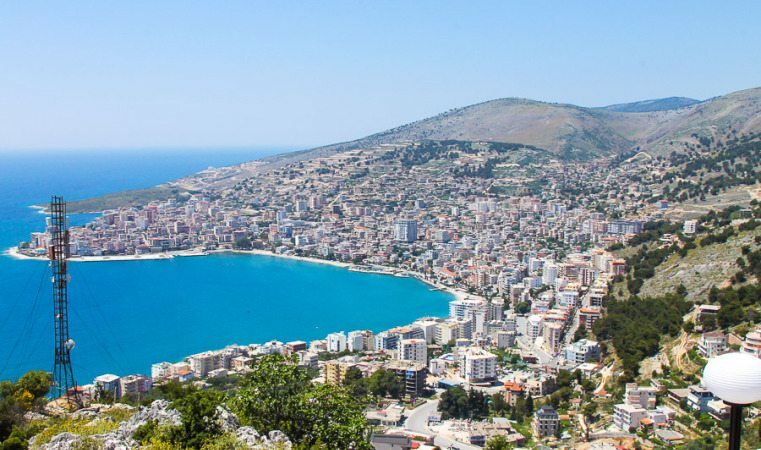 Saranda is situated in the southern of Albania and has a stunning coastline in front of the Ionian Sea. Located in the southern of Albania and surrounded by crystal clear waters of Ionian Sea, Saranda is one of the most visited cities during summer. The city’s architecture style resembles with an amphitheater with three parallel roads. Four roads with stairs connect the city hill with the promenades along the coastline. Legends say that in the ancient times, the city was named Onchesmus but the current name of it according to the Albanian writer and historian Neritan Ceka comes from an unfortunate occurrence in the 15th century in the city. 40 Christian monks and soldiers were killed from the Ottoman Army because they did not obey the order to convert into the Muslim religion. After their murder, the locals and the church of the town promulgated them saints. In the Greek language “Agii” means saint and “Saranda” means forty. After a while, the city was called only “forty” – Saranda. 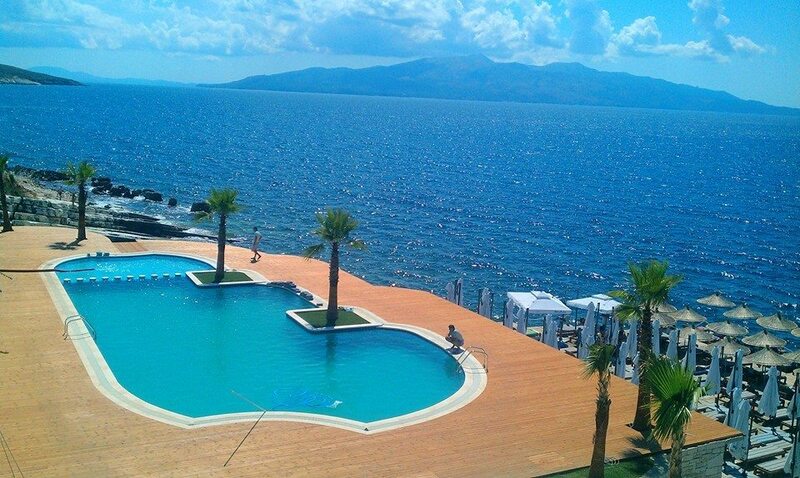 Legends about the history of the city say that the inhabitants of the ancient Saranda where the descendants of the Greek hero, Achilles. They also say that in the 12th BC century the son of King Priam of Troyes, Helen took a trip with the aim to invade western lands and after a while he landed in Corfu Island and there he decided to sacrifice a bull to honor Apollo, the King of Olympus Mount. During the sacrifice ceremony, the bull got injured but Helen couldn’t kill it and the bull tried to run but died after a while. Helen followed the bull and thought this occurrence was a sign from Apollo. Later, he built a small city in miniature, similar to Troyes and named it “Vouthrotos” which in the ancient Greek means “wounded bull”. 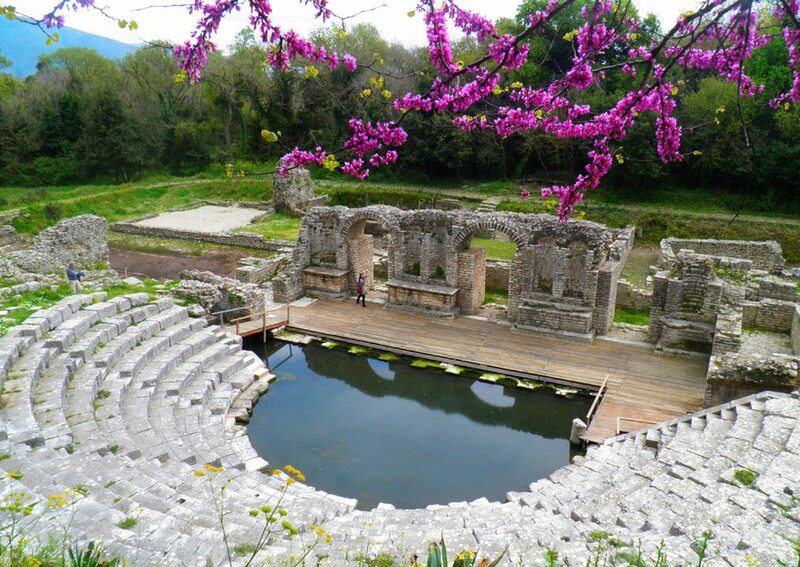 This city in miniature nowadays is known as Butrint Ancient Park, situated only 26 km from Saranda city. In these days, the promenade of the city is surrounded by restaurants, bars and hotels for tourists. there is very little associated with Greek and Saranda. we SHOULD not confuse Orthodoxy with Greece. We are Albanian Orthodox from Saranda, not Greek. We need to stop this influence and oppression from the Greek Church. We have our own Albanian Orthodox Church.